Someone asked me this recently, and I immediately described a strange dish I once had in Peru. Then another interesting meal popped in my head, and before I knew it, the floodgates had opened, and I had to write it all out in a post. Although I’ve gone vegetarian mostly since, I’ve never shied away from trying something interesting. Well known amongst travelers, cui is simply roasted guinea pig. I can’t say that it’s good at all, and as you can see, it doesn’t look good either. The skin is tough as hell, there’s no meat, and the flavor is really bland, making me wonder how the word “delicacy” made it into the guidebook. 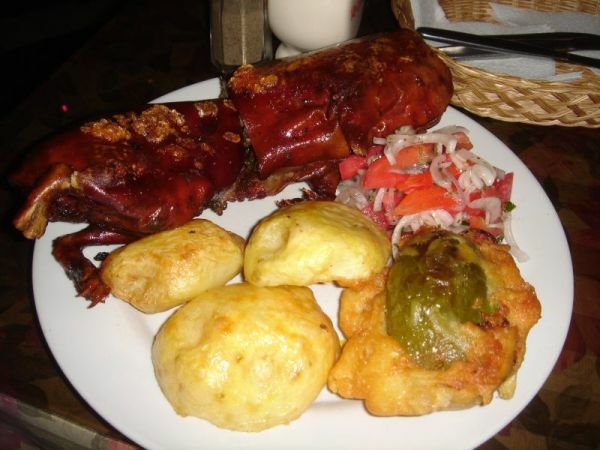 To think of it, I also felt other Andean fare such as llama, assorted roasted potatoes, and the cheese to be pretty bland too, though vegetarian, coastal, and fusion dishes highlighted Peruvian tastiness much better. If you order chicha in any restaurant in Peru, you’ll probably get a wine-like purple drink made from maize. But if you buy a murky yellowish concoction from a small village while trekking in the Andes, then there’s a chance it might be the real thing – the original chicha. If you have a weak stomach, please skip ahead. 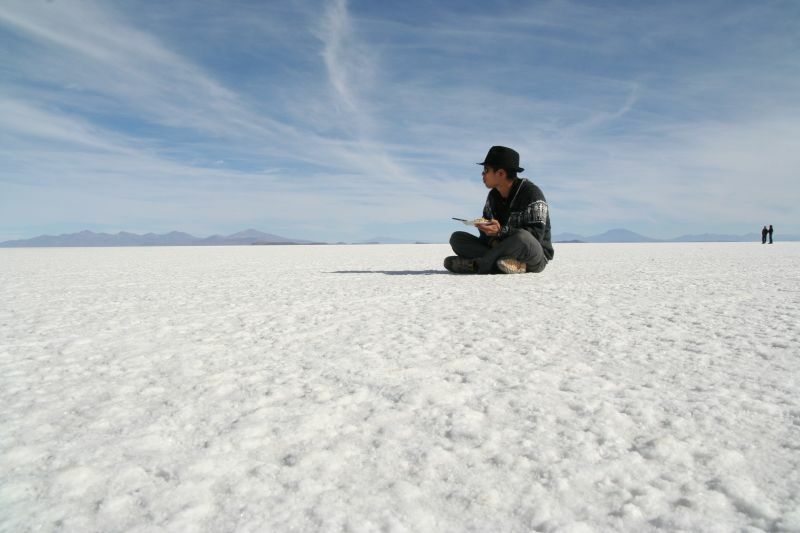 It turns out that one of chicha’s finer ingredients is saliva – yes, that’s right – SALIVA. The corn is chewed in the someone’s mouth and then spat out. The saliva assists in the fermentation process. It’s sad that I knew this, but still tried it. As expected, the texture was a real turn-off, but I had to say I did it. I can’t even remember the taste, because I couldn’t get my mind off the fact that it’s spat out corn. A late night street snack that smells much worse than it tastes, the smell can best described as “sweaty feet”. When combined with Hong Kong’s hot humidity, the acrid odor forms into a curtain of evil strong enough to make one vomit while banishing tourists simultaneously. 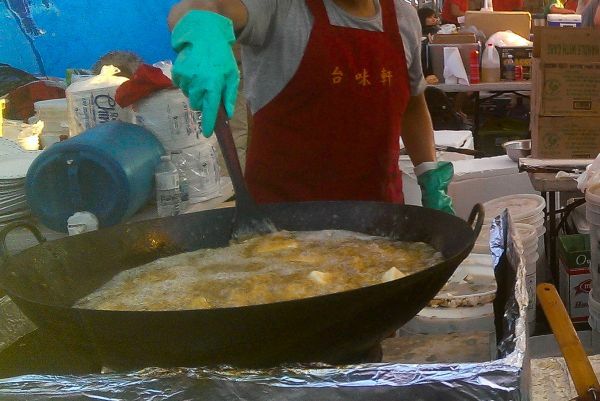 Unfortunately, since Hong Kong’s has mostly done away with street food vending, stinky tofu is much more difficult to come by these days as building owners frown upon having it cooked on their premises. I have a pretty open mind about things, but I’ll readily admit that if cooked right, stinky tofu smells bad enough to activate my gag reflexes. If the smell of stinky tofu turns you off too much, you might find chicken feet, marinated fish heads, tripe, chicken heart skewers, and duck kidneys better. Nothing’s wasted, for sure, but after all, eating offals isn’t much different from the contents of your average street hot dog, right? In all honesty, I don’t find the above dim sum dishes to be strange at all, because I’ve grown up with them, but I listed them for the sake of interest. Stinky tofu, however, is the exception. A Himalayan trekking classic, it’s exactly what it sounds like and will instantly fumigate a trekker lodge with the smell of ripe cheese. However, like stinky tofu, it smells worst than it tastes, and in fact, on a cold night, I found it to be quite soothing and enjoyable while warming me up. How it’s considered tea, however, is beyond me. It’s more like watery cheese fondue, really. Moreover, if you develop a fondness to yak cheese, then you’ll be delighted to know that Yak Mac ‘n Cheese (Try saying that five times fast) is also readily available in the Himalayas. In mac ‘n cheese form though, yak cheese isn’t nearly as pungent and has a rather tame flavor. As a side note, what astonished me the most, Himalayan food-wise, was finding comfort food 4000m above sea lovel. As you approach base camp, pretty damn good pizza (con yak cheese, of course), apple pie, and ramen with all the fixings show up on the menu. I don’t find eating insects that bad so long as they’re crispy and don’t ooze anything. 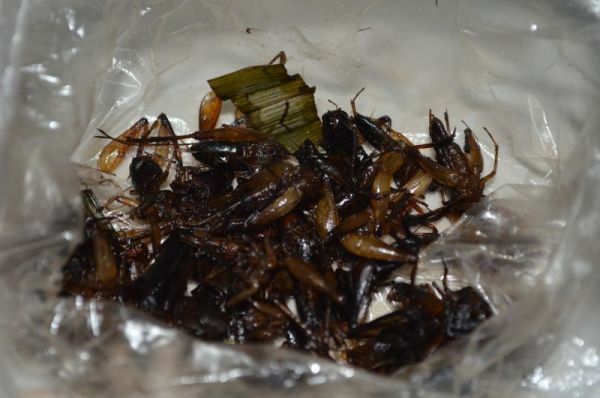 High in protein, tastily seasoned, and easy to snack on like popcorn, I found the munchy Cambodian crickets not bad at all. Now, if you want to up the ante, you can trek over to nearby towns from Angkor Wat to give fried tarantulas a shot. However, unlike the fully crunchy crickets, the tarantulas are exactly what I don’t look for in arachnid dining – they retain moisture and ooze out some sour goodness from their abdomens. Yum yum! Nothing says sashimi more than eating it alive. Sliced up within minutes and displayed on a dish with its still beating heart, I tried this dish over a decade ago in Hong Kong, though it’s actually a dish of Japanese origin. Obviously, now I wouldn’t recommend it since it’s kind of cruel. Other popular variants in Asia include drunken live shrimp and live octopus sashimi. Of course, in all fairness, oysters on the half shell are live too – they just don’t squirm as much. What? Paella is on the list? Well, specifically, cheap paella is on the list. I backpacked through Europe when I finished college, and like many other recent grads, I had a tight travel budget. Still, I wanted to try out some of the local food like sausages in Germany, cheese fondue in Switzerland, and paella in Spain. On hindsight, I was being a total tourist. Unfortunately, if you buy cheap, backpacker-quality paella, you get what you paid for. I had a tasteless mixture of a few dead mussels, soggy rice, and chunks of chicken with whole feathers still protruding from the chicken. That’s right. Given that the restaurant had a prime outdoor location, they were able to push out low-quality paella along with watered down sangria. If you’re a backpacker, I recommend you go for the calamari bocadillos (sandwiches) all over Madrid that sell for $1 or $2 Tip: Madrid is pretty hot and dry, so the rather plain bocadillos don’t go down easy. Buy a small bottle of mayo to lubricate the sandwiches. The Amazon river amazed me at the amount of aquatic and semi-aquatic life concealed in its muddy waters: alligators, large anaconda snakes, pink river dolphins, and tons and tons of fish. By night, flying fish would literally jump out by the hundreds and land in my boat. By day, I dropped a line and fished for dinner. 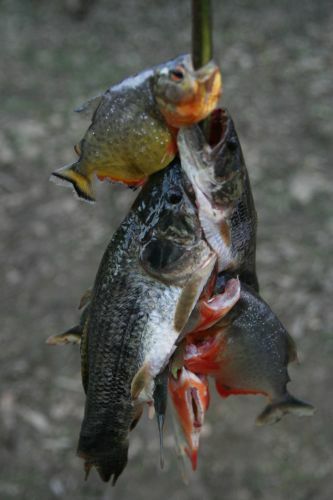 Of all the fish I tried there, piranha was by far the tastiest. And considering that an Amazonian piranha costs upwards of $100 at the local pet store, it might have been the “most potentially expensive meal” I’ve ever had. I’m not sure about the ethics about eating fish from the Amazon, but the locals ate them, so I just followed suit. If it’s a concern to you, I’ll say that it’s good but not great like readily available fish such as bass, trout, or salmon. Just kidding 🙂 But that’s a good roundtable question. From the “Feast” scene in Indiana Jones And The Temple of Doom, which of the dishes would you eat if you had to eat one? Or, in what order would you eat them in if you had to eat them all? Here are the options if you’ve forgotten or haven’t seen the movie: live baby snakes, giant beetles, eyeball soup, and chilled monkey brains. OK, the chilled monkey brains was a joke, but here’s a dish de la cranium surprise I’ve tried. As one might expect, the origins of pig brain soup is its potent ability to increase one’s intelligence, just like tiger phallus before Viagra was invented. In reality, I felt it was just eating chunks of fat in broth. Strangely enough, somehow, I felt it tasted like brains, even though I never tried brains prior to having pig brain soup. After all the lamb roasting that happens over Easter in Greece, a large number of heads remain unused. It’s served exactly the way you don’t want it to be – chopped down the middle. Then again, how much better can you serve a head? Some restaurants won’t serve this dish to non-Greeks, so you might have to go with a local if you really want to try out lamb brains. Every wonder what an unhatched, semi-developed duck embryo looks like? Now, ever wonder what an unhatched, semi-developed duck embryo TASTES like? Does it taste like egg? Does it taste like duck? I’ll let you decide! I couldn’t wrap my head around what this delicacy was, and I pretty much stopped after one bite. If you’re able to eat it without a hitch, then you, my friend, are a true survivalist. Also, I’m really, really sorry that I have to keep bringing up the strange foods from Asia – I don’t want to push any stereotypes, but hey, remember Peru’s still got the saliva drink! I once took note that my dog’s treats cost more than human snacks. I investigated, discovered that they smelled really good, and by the night, we were watching a movie while sharing her dog treats. As a side benefit, it apparently cleans your teeth too while you’re eating! My son is a brave soul when it comes to eating strange food. Sometimes, we’ll get the “insect candies” from a candy store, but why pay $4 for a cricket or mealworm lollipop from the zoo gift shop when you can get 20 for $1 at the pet store? Man, it seems a lot of street food in Mexico is cooked out of an oil drum. And the oil, well, it actually looks like motor oil, not cooking oil. Don’t ask how long the black tar-like oil has been recycled for or where it comes from, and just enjoy the fine cuisine that is produced from the magical cauldron. The food, although not healthy, is tasty – pork rinds and deep-fried chicken is typical oil drum fare. Sometimes, you might also discover tepache in other oil drum – a cold, alcoholic drink homemade from fermenting pineapple rinds. Surprisingly, oil drums are great at keeping drinks ice cold and refreshing as they are useful for deep-frying. Just be wary of a bad hangover if you choose the do the homebrew. Anyways, I hope I haven’t ruined your lunch. 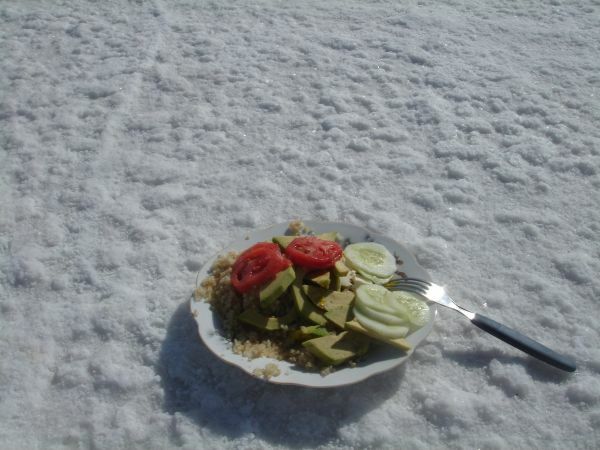 To whet your appetites again, here’s a photo of a healthy vegetarian meal I enjoyed on the Great Salt Flats in Bolivia. Funny post. I’m from the Philippines and, yeah, a lot of tourists shudder from just the sight of Duck Embryos though I’ve met ones who actually loved it and wanted to eat more than two. (It’s not good for people with high blood pressure). I myself eat everything else except the chick. I used to eat it too when I was a kid but stopped when I grew older. But one thing is for sure, I would never try Peru’s saliva drink! Ha!